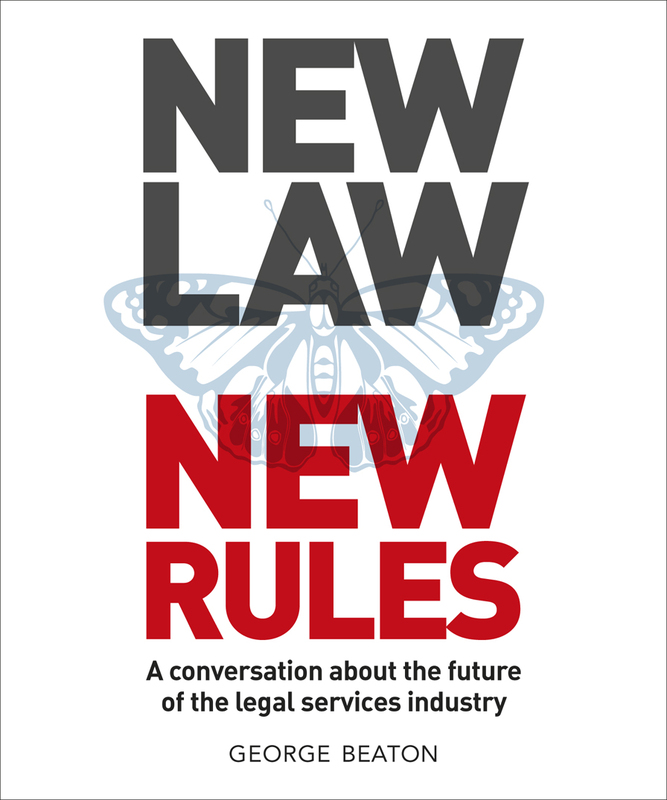 New Law New Rules by George Beaton, which was officially launched at Reinvent Law NYC, is a conversation about the future of the legal services industry. It is a ‘thread’ book that grew out of a blog post by George on ‘The rise and rise of the NewLaw business model‘. That post sparked a torrent of comments and replies. These form the basis of this crowd sourced e-book supplemented and linked with other posts, tweets and George’s narrative. George uses the terms ‘BigLaw’ and ‘New Law’ to refer to business models. BigLaw and NewLaw do not refer to the size of the firms or when they were founded. BigLaw and NewLaw are distinct and fundamentally different business models. BigLaw for George is the business model underpinning the operations of traditional law firms. It applies to law firms of all sizes, except solo and micro firms. Whilst the book does not explore solo and micro firms in any detail I would suggest that many such firms may well have the attributes that George gives to NewLaw. Attraction and training of top legal talent. Leveraging of these full-time lawyers to do the bulk of the work serving clients. Creation of a tournament to motivate the lawyers to strive to become equity partners (the idea of a tournament is akin to Roman gladiator contests and the subject of Marc Galanter and Thomas Palau’s seminal book Tournament of Lawyers). Tight restrictions on the number of equity owners. NewLaw on the other hand shares possibly only one of these characteristics, namely the attraction of top legal talent. In all other respects the NewLaw business model is different. The investors are seeking returns on capital and are separate from the producing staff, so leverage and the tournament are not present. Certainly some, even many of the staff, have a financial interest in the success of their business, but as an asset, not to maximise equity partners’ profits each year. The balance sheets of NewLaw business models are as important as the income statements. And – most importantly – fees are fixed in NewLaw. The provider, not the client, absorbs the risks of under-estimation and poor matter management. The conversation in the book revolves between these two models with thoughts, comments and predictions on both. 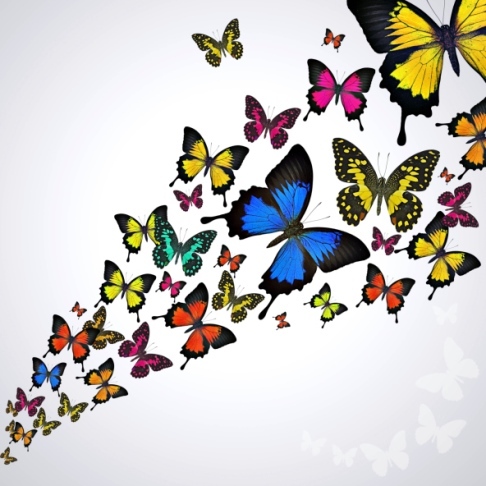 We hear of disruption and of changes that are structural not cyclical. There is a suggestion that firms that are less suited to handling highly complex matters might be more at risk from NewLaw competition. This may be true of what are real high complex matters. However, in my experience, BigLaw often over complicates reasonably straightforward transactions. It puts a team of half a dozen lawyers in three departments onto a ‘commercial’ transaction that any competent conveyancer could carry out on their own. When clients begin to realise that NewLaw can simplify the process rather than mystify it then BigLaw may have more to fear than some of the contributors to NewLaw New Rules suggest. The advantage NewLaw has over BigLaw in adapting technology is discussed where BigLaw have legacy systems that still have to run their course. I will explore this in some detail with reference to Small Law (which could well equate to NewLaw) in my next blog post. BigLaw typically asks ‘How can I use technology to do what I do better?’ Whereas NewLaw simply asks ‘How can it be done better?’. The first question results in sustaining technology. The second question does not just reference technology; it is an intrinsic component. Those firms that recognise adaptation is the key to survival and everything revolves around providing the best value to the client will benefit. The bottom line is that Gen Y mocks the billable hour and will not spend a career toiling on a billable hour basis. These young professionals have been told they are knowledge workers and that they can work wherever and whenever and need not be fixed to a single location. 90% of what 90% of law firms do today is the same as it ever was. And that’s generous. Large law firms are facing a near-complete transformation of their business models and are mostly ill-equipped to see this process through. Large firm associate training is designed to produce law firm employees, not entrepreneurial lawyers of the future. If one leading law firm breaks rank and delivers world-class service at significantly lower cost, using alternative methods of sourcing, then the market will change irreversibly. It is suggested by George Beaton that for BigLaw firms based on business as usual, profit-per-partner will halve within ten years. From anecdotes I have heard concerning BigLaw (at least in the UK or certainly in Scotland) I though that had already happened to many during the recent recession. A further halving in the next 10 years could therefore to many be a quartering from where levels once stood. Discussion takes place that specialist boutiques ranging in size from a handful of partners to maybe 20 or 30 will form de novo or by breaking away from large firms. I have referred to this a number of times in the past on this blog with reference to the post by John Flood on ‘The Rise of the Boutiques?‘. This may well result in more and not less law firms as some predict the future of law holds. As John Flood also blogged ‘Let a Thousand Flowers Bloom‘. But, taking a ten-year view I wouldn’t invest in a traditional law firm; the competition (which is well capitalised and run like businesses) has only just started to flex its muscles. As Reagan said ‘you ain’t seen nothing yet’. Peter Kalis from within BigLaw thinks that some (not all) the contributors to New LawNew Rules are “glitterati among the membership of ABLAC”. Apparently ABLAC is the acronym for Attack Big Law at Any Cost. Peter makes it clear that he is in the business of serving clients not selling books and he provides a robust defence of the BigLaw business model and its survival. It is likely that with him at the helm his firm has a good chance of survival. However, many other BigLaw firms may not be so fortunate to have a Chairman who actually considers the threats that NewLaw pose. Indeed potential ignorance on that front amongst BigLaw partners is something that comes out in the book. This is mandatory reading for anyone who is interested in legal businesses of the future. George Beaton must be congratulated for putting NewLaw New Rules together. It is the start of a conversation/debate that I am sure is set to continue as NewLaw firms come and go (not all will survive) and BigLaw firms adapt, change, do nothing, vanish or survive. I have highlighted excerpts from NewLaw New Rules that particularly caught my personal attention. There are many more contributors to the book, in addition to those specifically mentioned by me, with plenty to say on the topic. There is detailed analysis contained in the book that will appeal to a broad range of people involved in the legal industry from TinyLaw to BigLaw and to those already part of or contemplating NewLaw. George Beaton has very kindly offered to give readers of The Time Blawg a free copy of NewLaw New Rules. This offer is available until 15 March 2014 only. Note: This free copy must be downloaded by 15 March 2014 – the offer expires after this date. If you miss the free offer you can, of course, still purchase NewLaw New Rules via Smashwords or Amazon UK or Amazon USA and no doubt also at Amazon’s other international sites. Note about the author: George Beaton is a Legal services industry specialist, Business adviser to law firms, Leader of strategy and research consultancies serving professional services firms, Author, Commentator and Keynote speaker. George is a Partner in Beaton Capital and an associate professor at the University of Melbourne. Martin White on 20/02/2015 at 11:38 am. I’m currently working on consulting assignments for global law firms trying to meet the changes in the practice of law, so this is an exceptionally interesting book and blog. However the discount code was not working this morning. What has struck me is that although most law firms have a knowledge management strategy (of sorts) there seems not to be any understanding of the importance of taking a strategic view of information management (around a life-cycle model), a structured approach to collaboration effectiveness, a recognition that virtual teams work differently to co-located teams and that search (as distinct from eDiscovery) is a business critical application which needs to be supported by people, not just technology. There was a good quote from a recent report by Peppermint that suggested that law firms in the digital world would be no different to any other digital business. Brian Inkster on 25/02/2015 at 6:06 pm. The discount code was only available until 15 March 2014 i.e. March last year not this one.